Desire and commitment, belief in yourself, and just plain hard work. PBM coaches do not coach athletes based solely on results. We coach hard working, motivated athletes who are looking to step up to the next level. If that describes you please contact Kyle to learn more about what PBM has to offer. 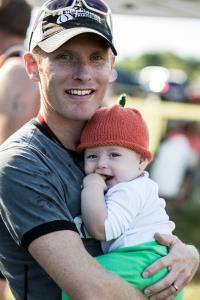 Kyle is currently accepting athletes for 1-on-1 coaching (triathlon, swimming, running). He is also available for swim stroke analysis. Success. Coach Kyle Burnell has been notified of your message.